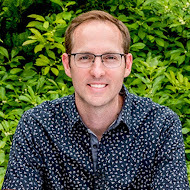 Thomas Rainer is a registered landscape architect, teacher, and writer living in Washington, D.C. Thomas is a passionate advocate for an ecologically expressive design aesthetic that does not imitate nature, but interprets it. His planting designs focus on creating a modern expression of the ground plane with a largely native palette of perennials and grasses. Thomas has designed landscapes for the U.S. Capitol grounds, the Martin Luther King, Jr. Memorial, and The New York Botanical Garden, as well as over 100 gardens from Maine to Florida. Thomas received his Masters Degree from the University of Georgia. Thomas has worked for the firm Oehme, van Sweden and Associates and currently is a Principal for the firm Rhodeside & Harwell. He has a broad range of experience in project types ranging from intimate residential gardens to expansive estates, rooftop gardens, botanical gardens, public display gardens, large-scale ecological restorations, and national memorials. His work has been featured in numerous publications, including The New York Times, Landscape Architecture Magazine, Home + Design, New England Home, Maine Home + Design, and the Hill Rag. Mr. Rainer is an accomplished landscape architect with extensive experience in the design of appealing civic spaces, including government plazas and grounds, streetscapes for prominent boulevards and avenues, and public parks and gardens. He is a leading practitioner in the development of urban stormwater solutions that help to create vibrant public spaces. 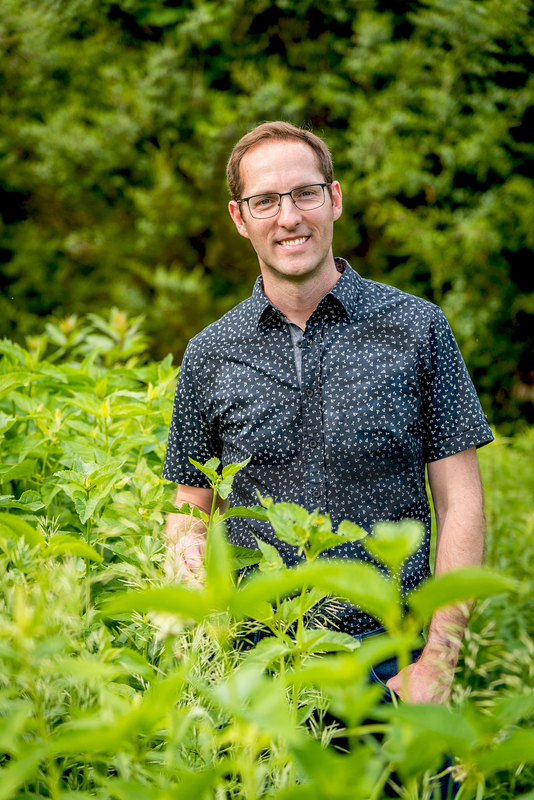 In addition, he is a specialist in applying innovative planting concepts to create low-input, attractive, and ecologically-functional designed landscapes. His recent work focuses on the artful interpretation of wild plant communities into designed plantings that thrive in the context of towns and cities. He teaches planting design for the George Washington University Landscape Design program and regularly speaks to audiences throughout the country on sustainable planting design. He is currently working on a book for Timber Press with Claudia West about native planting design. This site is a blog about the form, meaning, and expression of designed landscapes. The articles posted here represent only the opinions of the author. Grounded Design is not a business site nor an advertisement of design services. See The New York Times feature of Thomas Rainer written by Michael Tortorello. Like that you like natives... are you familiar with www.wildones.org? A professional sent me over her to have a good laugh at "No, They Didn't". She thought we may be kindred spirits. We'll given that you are an expert in your field and I am a rank amateur who is a self-proclaimed yard art expert, well then maybe. A very funny article. I enjoyed my visit. I would like to introduce myself. I am a garden writer living in the Netherlands and have just started to write a blog about my experiences with perennials. I have written books about gardening with grasses, tulips, perennials and annuals and am currently finishing off a book about perennial meadows. I have been working for some years to adapt the so-called naturalistic style of planting for use in smaller gardens such as my own. Your blog fascinates me as it is one of the few I have found that actually addresses the sort of issues I think matter in terms of planting design. I am still working my way through your archive of posts and will endeavor to make some comments in the near future. My new blog aims to introduce readers to my experiences with perennial meadows and initiate discussion around the subject. Your comments on the site and its first few posts would be most welcome and should you be interested perhaps you would like me to send you an example of the first part of the book on perennial meadow gardening? First, i really enjoy your intriguing blogs. I have a question in reference to the post where you spoke about mulch rings around trees and how they break up a landscape. Do you advocate planting new trees in the landscape without a mulch right? Or are you saying once the tree is established the mulch ring should be done away with. Any advice or input is highly appreciated! 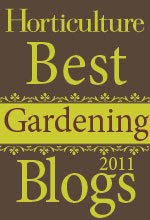 Great post Thomas, thanks again and Happy Gardening 2012! FYI, I began my year with my first gardening blog; I love Robins! Will you follow me? Thank you friend! Would you be interested in publishing our project in Burgundy, France? This project received the french Prize for urban design in November 2011. He sounds like a very successful person, that really enjoys his time around beautiful things. Hello! Thank you for sharing your thoughts about landscapers in your area. I am glad to stop by your site and know more about landscapers. Keep it up! This is a good read. I will be looking forward to visit your page again and for your other posts as well. Thales, an early Greek philosopher known for his view that "all is water," spent a considerable time thinking about the nature and scope of landscaping. Some of his students believed that in order for human activity to be considered landscaping, it must be directed toward modifying the physical features of the land itself, including the cultivation and/or manipulation of plants or other flora. Thales rejected this notion, arguing that any aspect of the material world affecting our visual perception of the land was a proper subject for landscaping. Both Plato and Aristotle praised Thales' analysis as a model for philosophy. In the early 20th century, British philosopher G.E. Moore cited Thales' reasoning as one of the few historical examples of how philosophical inquiry has led to genuine human understanding and progress. Our business model is simple: Offer better service at a better price. I would love to see some of your work especially your latest landscaping project. Can you give me some tips in landscaping a small backyard? I've found all the posts I've read up to now on on Landscapeofmeaning really enjoyable and informative. I come into contact with a lot of garden landscapers on a day to day basis and will defintely recommend that they read up on your blogs. Tree Care Company Arlington TX has helped to know more about the caring of trees. When Mr. Rainer says “Cottage Garden” he refers more to the frame of mind of such a garden, not to the architectural aspect. Part of that idea is that it demonstrates the relationship of the Human to the plant world. It has a very personal design driven by the plants. His photos of the current American idea of a garden or of landscaping defines the cottage garden by contrast. My retelling can not do his ideas justice so I look forward to a book soon to be published. His philosophy about native plants is one I share as a gardener. He warns that one mistake of “Native Plant Evangelists” (whom he applauds) is all the “no, no, no” that focuses on the necessity of using natives instead of on the hedonistic pleasure of seeing them. I was one of those scolds who learned pretty fast how counter-productive that is. A more effective way to increase the use of natives is to show how beautifully they can be incorporated with the non-natives that many gardeners love. He says we should avoid the idea of “sacrifice”. Whatever I do in my garden, if I hope to spread the use of natives in ordinary home gardens I must be sensitive enough to steer away from any notions involving guilt, what we owe the planet, heroic abstinence and the rest and just say yes to the hedonistic pleasures of gardening with our native plants. The Planet will follow. http://www.treeservicefortworth.org/ has a great sit on trees and if very informative. You have posted a wonderful, mind blowing blog about Landscape Services Fort Worth TX. Thanks! I like your photos with the garden.